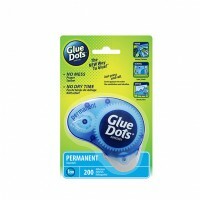 10 Handy Applicators each with 200 Permanent Glue Dots for sticky crafty projects, once stuck will not move! The new way to glue, bonds to virtually any surface. Super strength - Bonds instantly 10 handy ap.. Smaller, Faster and Easier way to apply glue dots. 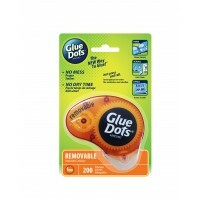 Dot 'n Go applicators are the easiest, most convenient way to apply glue dots anywhere you need a clean, fast bond. The Dot N' Go is ideal for use in a wide range of industries including: • Retail Repackaging • Printing • Direct Mail • Point of Sale • Fulfillment • Arts and Crafts. More than just a dot !